the design of this tall, two-bulb table lamp is simple yet sturdy. the lamp features a slide rheostat (dimmer) for a soft, romantic glow when needed. 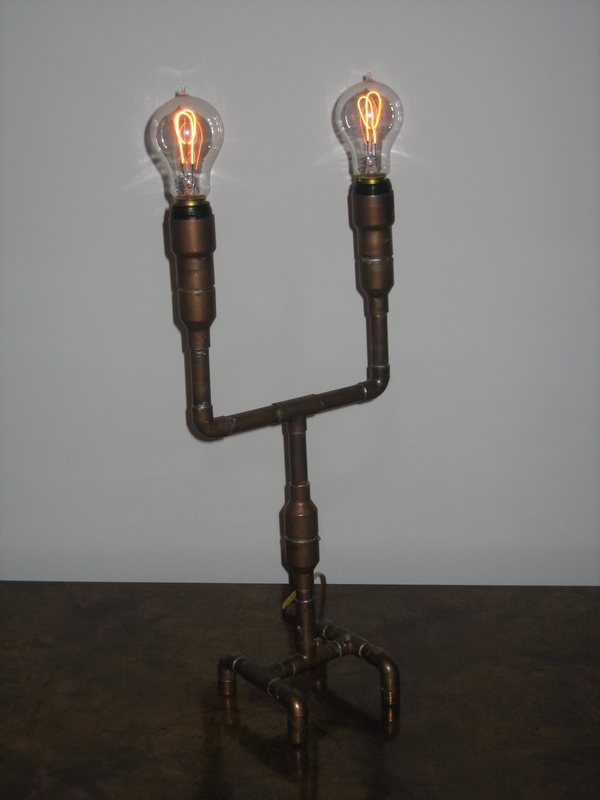 this one has vintage edison-style carbon filament bulbs.